There aren’t a ton of apps on my phone that get used on a daily basis other than the obvious Phone, Mail, Safari, and Messaging. Looking past the four folders of games, I’ve actually got some quality apps that stay relatively high up on the multitasking manager. Here are the top 5. 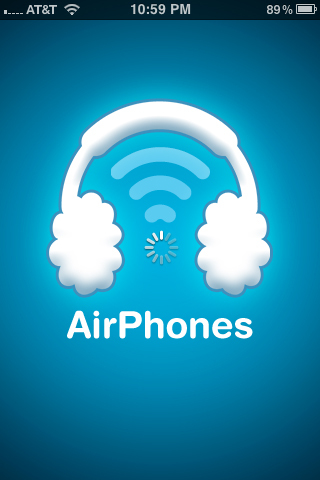 Although the developer seems to have abandoned further development on the app, AirPhones allows me to send my computer’s audio over a Wifi signal to my iPhone, essentially transforming into wireless speakers. It’s great if you don’t want to disturb the whole house with a movie, TV show, or YouTube clip. I can’t vouch for the Windows compatibility in AirPhones but the Mac desktop software necessary for AirPhones to work its magic is beyond simple. There’s something about these Air-apps that free you from your desktop that make them well worth their money. AirVideo is no exception. After installing software on your Mac or PC, you’ll configure what folders you want AirVideo to be able to access. From there, navigate to a video clip (virtually any format) and it’ll stream the video to your iPhone (or iPad) on the fly. You’ve got to be on the same network as your desktop but you can access videos on your iDevice from anywhere in your home. It’s well worth the price. 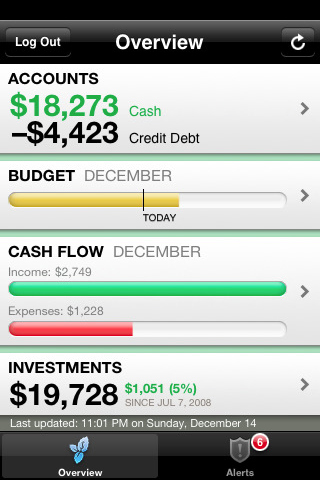 There are tons of banking institutions that haven’t gotten around to crafting up their own iPhone apps and Mint fills that gap quite nicely. You’ll need to sign up for an account on Mint.com and enter all your banking information, credit cards, and investment accounts that you want Mint to track. Recently acquired by Intuit, you’re more than likely in safe hands with all your personal information. From there, it takes only seconds to check your account activity rather than logging in through Safari. I have yet to find a better banking app. What used to be Tweetie 2 developed by Atebits, Twitter acquired and made the official Twitter app for the iPhone. As a former user of several Twitter apps that all had one feature that made them worth checking, Twitter has eliminated the need for anything else. It’s Twitter in its most natural form, better than the web version and any other app available. After using Twitterific on the iPad, you’ll crave a Tweetie iPad app. One of the most addictive iPhone games I’ve come across, Fruit Ninja is a brain-dead simple game that somehow keeps me coming back for more. 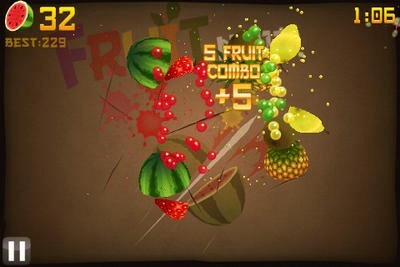 Developed by Halfbrick, Fruit Ninja comes with two modes; Classic and Zen. Classic mode will have you slicing fruit that flys from the bottom of the screen, avoiding the bombs that get in your way. Zen Mode is a free-for-all, you against the fruit, to see how many you can slice before the time expires. It’s addicting and you can’t beat the $.99 price. 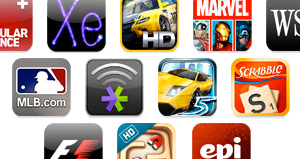 Those are my five favorite apps I couldn’t live without. Have you found any that do the same job better? What are your five favs? Share ‘em in the comments.